In January there was no end of opportunities to make our voices heard at either the federal or local levels. It’s great to see so many citizens involved with community development and national politics. Distilling all of the dialogue exchanged by email and in meetings is challenging and finding something to truly celebrate is even more so. But, yes, there is something to celebrate. Providence is one of 10 cities chosen from a pool of 80 for the Big Jump Project. The City Walk corridor that includes Elmwood Ave and Broad St is the target area for the project in Providence. The Big Jump Project, aims to double or triple bike ridership in specific neighborhoods over the course of just three years. Cities in the project will be laboratories for innovation, ultimately illustrating the ways in which U.S. cities and towns can tap into bicycles to improve the health and vitality of their communities. Each city will annually receive the equivalent of $200,000 in technical support from PeopleForBikes to support the development of bike infrastructure and programs that encourage biking; an additional $50,000 in local matching funds from the city, community partner, or local foundations each year will also be contributed to the program. Use the 3-1-1 hotline and/or the PVD311 mobile app to report quality of life issues and to request city services. The hotline is an important tool for documenting issues at troublesome locations. A record of complaints can affect liquor licenses and zoning changes at locations described below. To learn more about using the service, attend a meeting at Reservoir Elementary School on February 6 or at Knight Memorial Library on February 27. On January 3 the RI Dept. of Corrections went before the RI State Properties Committee to request locating a parole office at 49 Pavillion Ave in the South Side near I 95. The office will serve residents from zip codes 02905 and 02907. Luis Aponte is planning a press conference at the Washington Park Community Center to announce the plan on February 23. Residents may remember that a proposal to locate the office on Broad St was met with overwhelming neighborhood opposition because of its proximity to schools and the high number of social services already on the South Side. PEKA Properties, the owners of the vacant lot at 12 Lenox, went before the City Plan Commission (CPC) on January 17 to request a change in zoning from residential (R-2) to commercial (C-2). PEKA also owns buildings on Broad that house Aqua Lounge and Monaco Night Club. PEKA aims to phase out the nightclubs and bring more retail businesses to the corner of Broad and Lenox, expanding them to 12 Lenox. While PEKA argues that the location would not be attractive as a residence, residents argue that it is PEKA’s poor management of their properties that has made it undesirable. Residents are concerned about commercial creep into residential areas, the traffic congestion already existing at that corner, and the lack of parking. They recommend that before making a zoning change, PEKA should prove itself by cleaning up 12Lenox, which has become a trash filled parking lot for the automobile service stations at the corner. After hearing from residents, CPC voted to recommend a zoning change to C-1 with restrictions: no liquor establishments or auto repair operators. City Council will have to approve the change. Next steps: Residents can voice their opinions to City Council President Luis Aponte(ward10@providenceri.com), Ward 9 Councilwoman Carmen Castillo (ward9@providenceri.com), and/or CidMcKenna, Chief of Staff for the City Council (cmckenna@providenceri.com). Telephone messages can be left for all at 521-7477. On January 24 Joe Paolino announced that Paolino Properties had bought St Joseph’s Hospital on Broad St with the intention of developing it to help resolve the homelessness issue downtown. Thanks to community networking, nearly 300 people showed up at the press conference to protest the “dumping” of social services inSouthside neighborhoods and the lack of community involvement in developing a plan for the property. Ward 11 Councilwoman Mary Kay Harris voiced strong opposition to the plan and at follow-up meetings MayorElorza has said that the development as announced would not happen. Meanwhile, residents have been drafting an ordinance to limit the number of social service agencies in Ward 11 (Mary Kay Harris’s ward). Club Juan Pablo Duarte at 100 Niagara and Congress has been before the Board of Licenses to request a liquor license; however, the hearing has been postponed indefinitely, in part because of translation difficulties. The Dominican-American club hosts weddings, baby showers, birthday parties, and other events, and has had licenses to sell wine and beer at events in the past. The BOL has asked that the Club work with nearby residents to resolve quality of life issues, including noise, litter, parking, public drinking and drunkenness. According to our State Rep, Grace Diaz, the club is taking seriously the need to hire a security company to monitor activities at the club. She has offered to speak to the Club’s management to help resolve other issues related to activities there. Keep reading for meeting and event details and to see what else is happening. Find general information about greening Elmwood, community policing, and city services in the reference guide emailed seasonally. Nobel Laureate Harold Pinter innovatively explores the complexities of love, guilt, and duplicity in this Olivier Award-winning classic. February features the original art and prints, the Black experience, comics, manga, history/political commentary, cooking and healthy living, mystery/suspense novels, children’s books. Coffee table books are steeply discounted. All are welcome to join the dynamic Friends group as they develop Super Saturday programming, an online Mrs. Shaw’s Fund to raise money for books, and a fundraising event scheduled for June 2. The City of Providence is updating its trash and recycling contracts and wants to hear from you. Your feedback will help the City provide quality, cost-effective services that meet our waste reduction and cleanliness goals. Let the City know what’s working and what needs to change. Join with other aspiring sustainable farmers who want to grow and sell healthy food for friends, neighbors, and customers in Providence, Pawtucket and Central Falls. Attend our FREE workshop and learn the basics of growing for market, crop planning, marketing strategies and operating a farmers market booth. You will also learn about processing SNAP/WIC benefits, and financial/business planning and record keeping. Class will be taught for English Language Learners. Snacks will be served, and there will be a break for lunch. SCLT (www.southsideclt.org) supports beginning farmers through training, technical assistance, access to land and access to market channels. We welcome farmers and prospective farmers to participate in our programs. Participating in training programs also makes you eligible to lease available SCLT land and to sell through SCLT market opportunities. Join Mayor Elorza and the Department of Planning and Development to discuss the future of the civic plaza in the heart of downtown Providence. Meet with Police who report on incidents since our last meeting. Other speakers often attend to address crime-related and quality of life issues. In January Mayor Elorza attended to answer questions about the development of St Joseph’s Hospital. Elmwood resident Osto Vargas was due to make a presentation about Ring.com, a home security system. Crime Watch window placards are available at each meeting. Note: Crime Watch meetings are generally held on the fourth Wednesday of each month. Crime watch window placards are available at each meeting. City Councilman Luis Aponte will announce the plan to locate a parole office at 49 Pavillion St in South Providence. To learn more, call the Community Center at (401) 461-6650 or the City Council at 521-7477. Learn how to effectively use the city’s PVD311 AP in this hour-long tutorial given by Andrew Jacques, Director of the Mayor’s Office of City Services. Knowing how to request city services for things like pot hole repair, clogged storm drains, and litter help to make our city run more effectively and improves our neighborhoods. All are urged to attend. 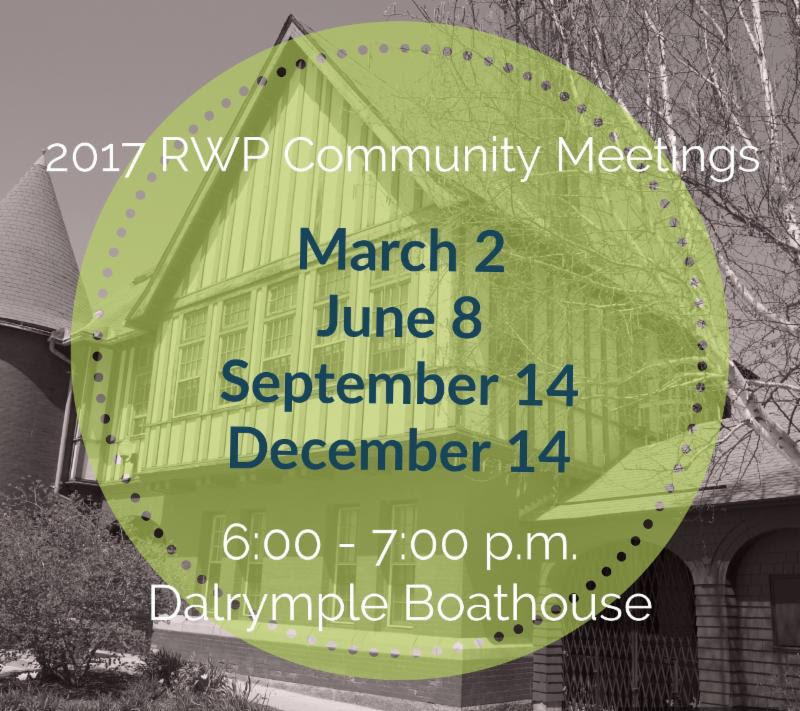 Quarterly community meetings of Roger Williams Park will kick off on March 2. It will feature Dr. NumiMitchell of The Conservation Agency on their coyote study. Stay tuned for more information. A preparatory meeting is tentatively planned for Sunday, February 19. Location: Knight Memorial Library community room, 275 Elmwood Ave.
Browse through 1000s of books, videos, LPs, CDs, DVDs and original art works and prints. Proceeds support library programs and improvements. Bookmark ElmwoodExchange for a summary of current events. Thanks to all who came to the November 12 Neighborhood Care Day on Peace Street. Volunteers included residents from Lenox, Whitmarsh, Moore, and Princeton, and a member of the Teen Club at the Y Youth Program on Broad Street. Thanks to Michael, Rob, Osto, Brett, Kelly, Elizabeth, Lucy, Avi, Liz, Matthew, Jackie, Alejandra, and Peter for helping to make this slice of our Elmwood neighborhood better. We accomplished a lot in both Peace and Plenty Park and Peace and Plenty Community Garden. At the park, replacement pickets were stained, litter picked up, low slung tree branches removed and a ‘we buy used cars’ sign removed from a prominent telephone pole. At the community garden, pernicious weed were removed in several of the most-infested garden pathways and an entire delivery of wood chips (provided free by Doug Still, our excellent City Forester) were placed at a two inch depth in these areas to prevent their return. Mark your calendars for our annual EarthDay Cleanup, which will take place on Saturday, April 22, 2017! Mayor Elorza has been hosting quarterly meetings for neighborhood leaders. The meetings are opportunities for neighborhood representatives to meet one another, learn about city services, and voice their concerns. Paula Donovan attended the meeting on November 14. Michael Borg, Director of DPW, discussed snow removal, street sweeping, sidewalk repairs, vacant lots, and automobile oil recycling. The Mayor announced holiday activities, the City’s policy on deportation and working with ICE, the reconstruction of the Rt 6-10 Connector, and his concerns about funding cuts under Donald Trump. Paula provided details on the attached notes. Several Elmwood residents attended the Board of License hearing on November 2 as Club Juan Duarte at 100 Niagara St (Niagara and Congress) applied for a Class C Liquor License. The license would have permitted the Club to become a neighborhood bar and allowed a 1 amclosing and Sunday sales. The applicant was questioned thoroughly about his understanding of the Class C license he was applying for, and was told that the Board wished to see documentation about the bartender and security company that he would be hiring. Residents had reported making numerous noise complaints, parking problems, late night intoxicated people, incidences of drug dealing related to events at the Club, and the presence of dozens of beer bottles littering the property. The club was also advised to get a Mechanical Device License for their pool table, which it seems they did on November 10. According to a BOL announcement for November 23 it appears that the Club has requested Approval for Advertising for Alcoholic Beverages Class BL License (Beer-Wine-Food), with Food Dispenser and Holiday Sales. It is not clear if the Club is now abandoning its application for a Class C Liquor License. Fall came late this year so it’s a good thing that the City offers curbside yard debris collection until mid-December. Place yard debris in paper bags or in a container (no bigger than 45 gallons) clearly labeled “Yard Debris.” Then place yard waste on the curbside on the same day as your normal garbage/recycling pickup day. Free labels to be affixed to containers can be obtained at the Department of Public Works located at 700 Allens Avenue or at Providence City Hall. Holiday shoppers are attractive targets for thieves. Make sure to keep your new purchases out of sight in cars and homes. Lock new purchases out of sight in car trunks. Do not leave your unlocked vehicle unattended while transferring packages from car to house. Keep that new flat screen TV, computer, and other electronics away from windows, and draw the shades or curtains at dusk to prevent potential thieves from peering in. Be sure to report suspicious behavior to the police at (401) 272-3121. Snow still seems weeks away, but weather can change rapidly. If you or your tenants park on the street at night, make sure to have an alternate parking space available in case of no parking bans. community policing, and city services in the reference guide emailed seasonally. Straight White Men is a razor-sharp comedy that confronts the complexities of identity and hypocrisies of privilege. Di and Viv and Rose is a story of enduring friendship that is one of the most moving tales to hit the stage in many years. Christmas Tree lighting and the opening of the ice skating rink with a performance by Michelle Kwan and friends. Cultural food and drinks. Free street parking during the shopping season. This month features history/political commentary, biography/memoir, fiction, children’s books, and craft and cookbooks for the holidays ahead. Friends groups at the nine Providence Community Libraries advocate for library resources. Friends of Knight include book sale, program, and building improvements teams. They have raised money to help pay for new stairs, support library programs, and improve the library experience for staff and visitors. The proceeds of Friends book sales have paid for window treatments, auditorium chairs, shrubbery for the front lawn and more. All are welcome to join. Tuesday, December 6, 3:30pm to 5:30pm – Holiday Party with Santa! Come have fun making edible crafts, doing fun activities, and meeting Santa! All families and kids welcome! 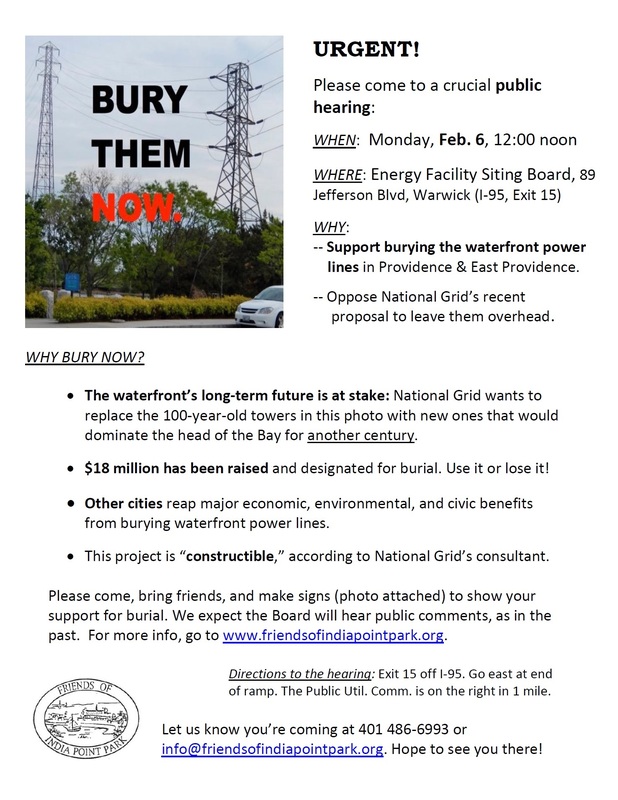 Location: 1st floor Conference Room, Doorley Municipal Building, 444 Westminster St. Learn about and comment on the Downtown Transit Corridor (DTC), which will connect Providence Station and the RI Hospital district with a high-frequency bus corridor. The project is expected to start in 2018. The DTC will create six “station-like” stops between Providence Station and the RI Hospital district. These stops will be designed with a unique and highly visible identity and will include shelters, real time information bus arrival signage, bike share stations and other passenger amenities. Opportunities to enhance RIPTA service using signal priority for buses or dedicated bus lanes will be considered, as well efforts to create attractive public spaces around each stop. Learn more: www.ripta-dtc.com as this project advances towards the start of construction in 2018. Guest speaker, Attorney Stephen G. Dambruch, First Assistant U.S. Attorney for the Department of Justice and former prosecutor for the RI Attorney General’s Office, will discuss the functions of both offices, how they relate to local police efforts and the FBI, and the process for addressing neighborhood and resident concerns for safety and well being. For agenda updates, contact Doug to get on his mailing list: doug.crimewatch@gmail.com . Note: Crime Watch meetings are generally held on the fourth Wednesday of each month. Crime watch window placards are available at each meeting. Business leaders will discuss developing a map of Elmwood Ave to promote local businesses. Krista Adamo, Vice President of Marketing & Communications with the Providence Warwick Convention and Business Bureau will join the discussion. Note: Fresh Food Days at St Joe’s are generally held on the 4th Thursday of each month. South Providence Library Now Offers Fishing Poles!